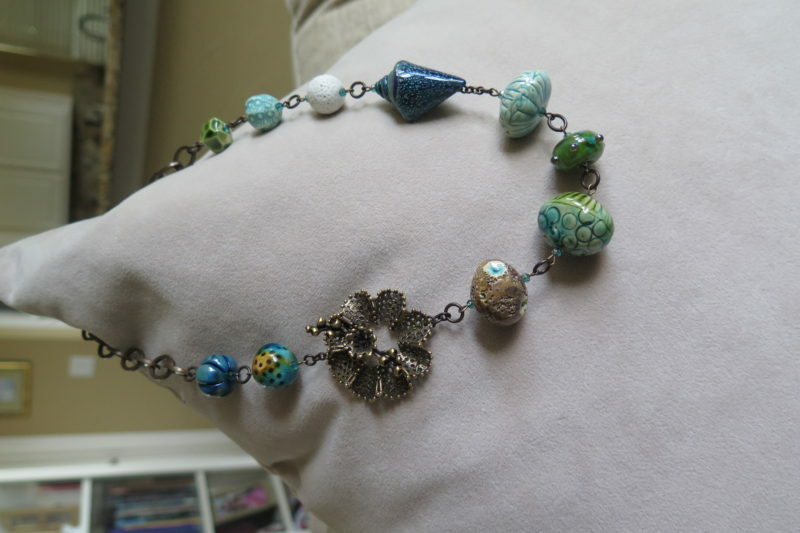 By the Sea Necklace was designed by Michelle McEnroe of McEnroeMoments using ceramic art beads by Happy Fallout, somethingtodobeads, Gaea, and SandCeramicBeads. 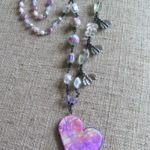 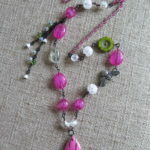 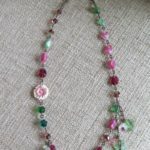 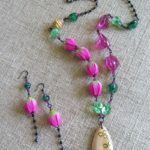 The necklace also showcases lampwork glass art beads by Unicorne Beads. 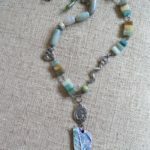 The necklace connects on the side with an artisan brass nautical toggle clasp that was created by AnnaBronze. 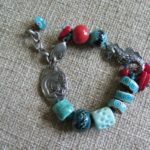 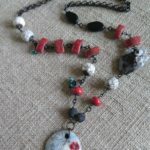 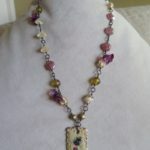 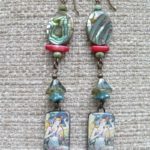 Michelle's Jewelry can be found on Etsy at http://www.etsy.com/shop/McEnroeMoments and in Beadwork magazine.